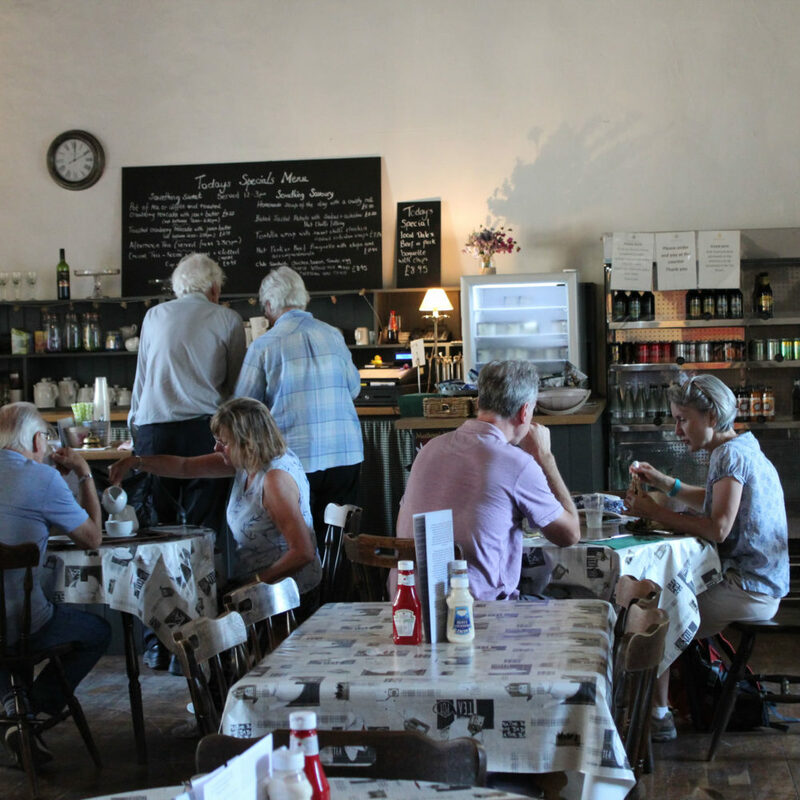 The Bolton Castle Tea Room is run by local caterer (or restaurateur) Guy Fairhurst. Extremely passionate about food, Guy has been working in the catering industry since he was 15yrs old. He qualified as a Chef at York College in 2005 and has worked extensively throughout the UK gaining a wealth of skills and experience, before returning to his native county of Yorkshire to further his career among his family and friends and the breath-taking surroundings that he loves. The licensed Tea Room is situated in the castle’s impressive Guest Hall. Visitors have been welcomed and enjoyed hospitality in this part of the castle for over six hundred years and Guy and his expert team are continuing that tradition. 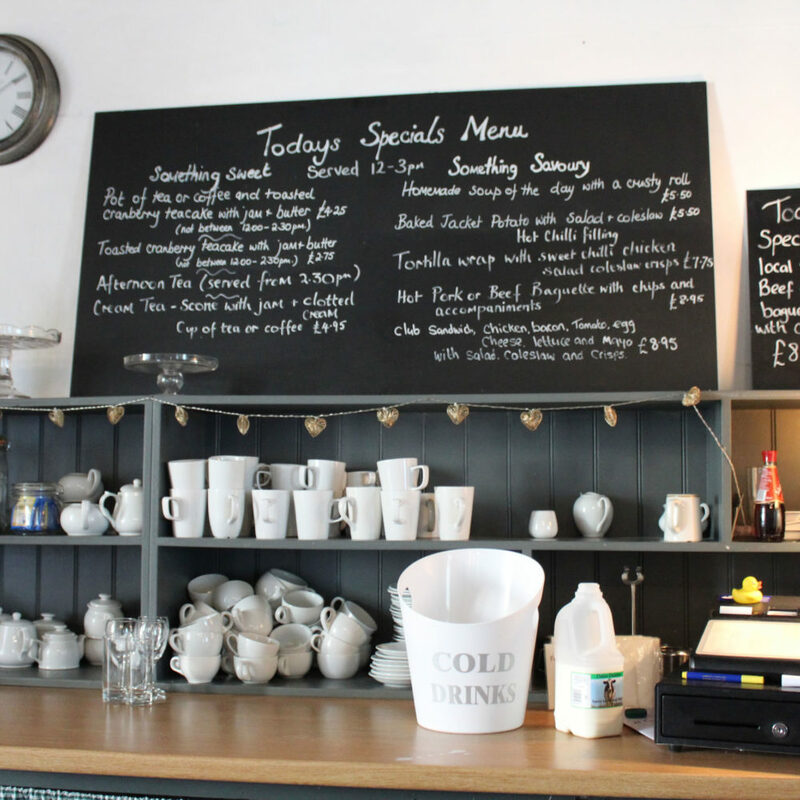 A tempting range of homemade cakes, scones and other treats are available, along with a selection of teas, coffees, soft drinks, wine and local beers. Hot lunches are also served daily between midday and 3pm, with something to tantalize everyone’s taste buds! Locally sourced produce is used wherever possible, this allows Guy to showcase the vast array of top quality, artisan providers that are available in the area. Birthdays, special occasions and other parties can be catered for by arrangement. Bespoke menus can be designed specifically for your event or you can pick a selection from the Tea Room menu, a sample of which is shown below. Please note that any large groups must be booked in advance. Guy also caters for all the weddings at the castle and is also available for outside events, his culinary expertise is exceptional and we truly believe you will thoroughly enjoy your dining experience at The Bolton Castle Tea Room. Please place your order and pay at the counter and inform a member of staff if you have any allergies or intolerance before ordering, no service charge included.